It has been nearly a decade since Congress took any significant action to address the problems in the U.S. campaign finance system. During the ensuing years, loopholes within the system expanded to a point where hidden spending by big donors is now an ordinary part of American politics and spending by foreign citizens—and even foreign governments—is a latent threat to U.S. elections. Absent congressional oversight, foreign entities, wealthy citizens, and big corporations can amass improper influence with U.S. elected officials. A foreign government could, for example, instruct an agent to acquire a significant share in an American corporation or set up a limited liability corporation (LLC). Next, the agent funnels a large payment through that entity to a tax-exempt organization. The tax-exempt organization then uses that money to support or oppose U.S. candidates1—and the American public never knows the source of the funds. This activity is illegal. But inaction and obstruction at the Federal Election Commission (FEC) has made it close to impossible to detect or penalize such misconduct. The law needs to be updated to respond to current threats and realities. Passing the DISCLOSE Act of 2017, first introduced by then Rep. Chris Van Hollen (D-MD) and Sen. Chuck Schumer (D-NY) in 2010, would reverse this trend by taking substantial, commonsense steps to increase the transparency of money in politics and eliminate foreign political spending. 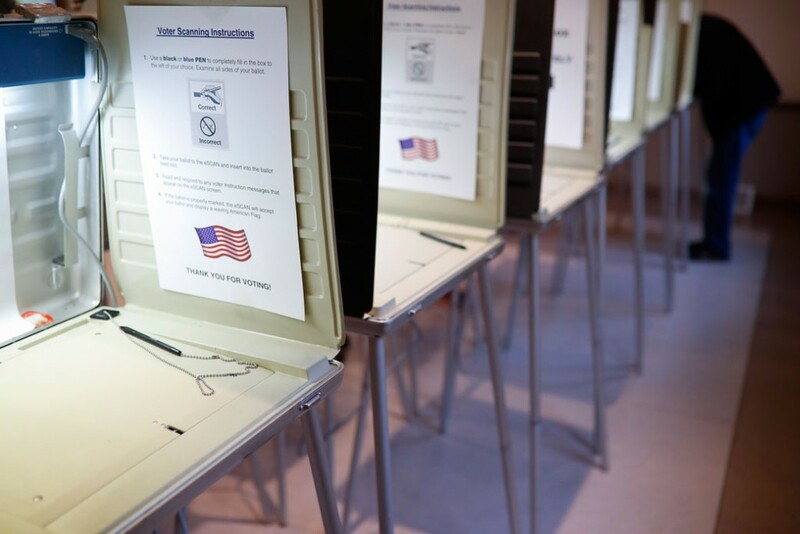 Under the DISCLOSE Act, organizations that engage in significant election-related spending, including tax-exempt nonprofits, will have to promptly report that activity. Loopholes that protect donors from disclosure will be closed. And protections against foreign national spending will be extended to cover domestic corporations with foreign owners and decision-makers. Disclosure of the sources of political spending is not a panacea for fixing our politics. However, it is a first step and a critical tool for exposing and deterring some of the most troubling forms of improper political influence. Secret political spending is, by definition, difficult to quantify. Many organizations that engage in political activity do not disclose the identities of their donors. Even those that do disclose their own donors sometimes just end up peeling back one layer to a dark money group that hides the source of their funds, concealing the true donor. Under current law, organizations have to report broadcast communications that mention federal candidates within 60 days prior to a general election,6 but they do not have to report any of their donors unless the donors specifically designated funds for making those communications.7 Moreover, groups may not report spending on such advertisements at all, if those ads are run more than 60 days prior to a general election.8 This secret spending is increasingly funded by shell companies, which hide the true source of campaign funds behind obscure corporate forms. Even without a complete picture, it is clear that spending by dark money organizations that report at least some of their activity, without disclosing the source of the funds, has been on the rise. The public is right to be concerned that all this undisclosed money adds up to a massive, behind-the-scenes effort by special interests to obtain influence over government. Even the U.S. Supreme Court’s misguided 2010 ruling in Citizens United v. FEC assumed that unlimited corporate political spending would be paired with “effective disclosure,” which would “provide shareholders and citizens with the information needed to hold corporations and elected officials accountable for their positions and supporters.”14 Under current law and regulation, however, effective disclosure requirements do not exist. In an era of secret spending, this advice is hardly surprising. Not only are politicians encouraged to try to secure million-dollar donations, they are advised to hide behind organizations with anodyne names. Channels for political spending where donors are cloaked in secrecy are one of the U.S. election system’s major points of vulnerability for foreign interests looking for opportunities to improperly influence American politics. Despite numerous loopholes within the U.S. election system, existing law is clear that it is unlawful for a campaign to solicit or receive anything of value from a foreign national.26 However, without stronger transparency requirements and enforcement, these unlawful transactions can easily go undetected. Restore donor disclosure. Right now, organizations that spend money in elections are often able to hide the true source of their funds. The DISCLOSE Act would tackle this problem by requiring organizations that engage in over $10,000 of political spending to either: (1) report all their donors; or (2) establish a separate account for that spending, and report all of the donors to the separate account. Reporting would be limited to donors that make aggregate contributions of $10,000 or more during a two-year election cycle. Prohibit the use of shell organizations to hide a donor’s identity. The DISCLOSE Act requires the owners of any pass-through organizations—typically LLCs—to be disclosed, so that the public is made aware of the true source of the contribution. Strengthen the ban on foreign election spending, particularly through domestic corporations. Previous FEC guidance, implemented prior to Citizens United, has been lax on the issue of what to do when a domestic corporation is partially owned or controlled by foreign nationals. Until Citizens United, this guidance had few consequences, because for-profit corporations could not spend money to influence elections except under very limited circumstances.30 The DISCLOSE Act contains a carefully tailored, bright-line test: If a foreign government owns 5 percent or more of the voting shares of a company, or if a foreign national owns 20 percent or more of the voting shares of a company, that company is subject to the ban on foreign national contributions and election spending. Furthermore, any company in which a foreign national has the power to “direct, dictate, or control” decision-making about political spending, or the corporation’s U.S. interests as a whole, will be treated as a foreign national and subject to the prohibition on political spending.31 All corporations engaging in political spending will be required to certify that they are not violating the ban on election spending by foreign nationals. To a certain extent, political reform is always a work-in-progress, but we must take action to begin to restore the integrity of U.S. democratic institutions. Special interests are always looking for new ways to evade constraints on their anti-democratic political influence, and a series of 5-4 split U.S. Supreme Court decisions have made it more difficult to prevent political corruption and ensure fair representation for all. The DISCLOSE Act is commonsense, court-approved, and a major advance in the fight against secret and foreign spending and special interest influence. Congressional inaction on this issue would only leave our political system more vulnerable to influence from foreign governments and those who seek to hide their identities while using their wealth to shape American democracy and government for their own benefit. Liz Kennedy is the director of Democracy and Government Reform at the Center for American Progress. Alex Tausanovitch is the associate director of Democracy and Government Reform at the Center.